Exmouth is a town on the tip of the North West Cape in Western Australia. Kick off your visit on the 3rd (Wed): explore the gorgeous colors at Ningaloo Reef, take a memorable tour with Tours, and then appreciate the history behind Potshot Memorial. Get ready for a full day of sightseeing on the next day: enjoy the sea views from Vlamingh Head Lighthouse, then see majestic marine mammals with a dolphin and whale watching tour, and then view the masterpieces at The Ningaloo Gallery. For reviews, other places to visit, and other tourist information, refer to the Exmouth holiday planner. Cardiff, UK to Exmouth is an approximately 27-hour combination of train and flight. You can also do a combination of train and flight; or fly. Traveling from Cardiff to Exmouth, you'll lose 8 hours due to the time zone difference. Expect a bit warmer weather when traveling from Cardiff in July: highs in Exmouth hover around 28°C, while lows dip to 13°C. Cap off your sightseeing on the 4th (Thu) early enough to travel to Geraldton. Geraldton is a coastal city in the Mid West region of Western Australia, located 424km north of Perth.At June 2015 Geraldton had an estimated urban population of 39,825. 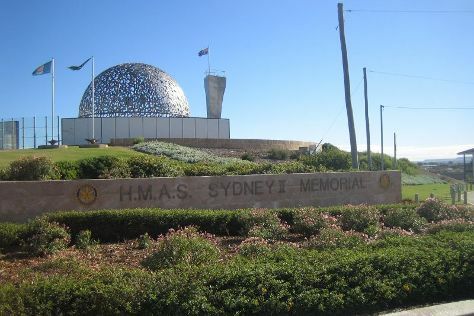 Kick off your visit on the 5th (Fri): make a trip to The Leaning Trees, take in nature's colorful creations at Greenough Museum & Gardens, then make a trip to Monsignor Hawes Heritage Centre, then see the interesting displays at The Tin Heads, and finally brush up on your military savvy at HMAS Sydney II Memorial. Get ready for a full day of sightseeing on the 6th (Sat): get engrossed in the history at Museum of Geraldton, view the masterpieces at Geraldton Regional Art Gallery, then look for all kinds of wild species at Coalseam Conservation Park, and finally pause for some serene contemplation at St Francis Xavier Cathedral. To find out how to plan a trip to Geraldton, use our trip itinerary maker. Fly from Exmouth to Geraldton in 8 hours. Alternatively, you can do a combination of car and flight; or drive. Traveling from Exmouth in July, expect Geraldton to be a bit cooler, temps between 23°C and 9°C. Wrap up your sightseeing on the 6th (Sat) early enough to travel to Albany. Get outdoors at Dolphin & Whale Watching and Muttonbird Beach and Shelter Island. Get a sense of the local culture at National Anzac Centre and Princess Royal Fortress. There's still lots to do: see the interesting displays at Albany's Historic Whaling Station, contemplate the long history of Point King Lighthouse, explore the striking landscape at The Gap and Natural Bridge, and contemplate the waterfront views at Kalgan River. To see more things to do, traveler tips, other places to visit, and other tourist information, read Albany road trip site . Traveling by flight from Geraldton to Albany takes 4 hours. Alternatively, you can do a combination of flight and bus; or drive. When traveling from Geraldton in July, plan for little chillier days in Albany, with highs around 19°C, while nights are about the same with lows around 7°C. Wrap up your sightseeing on the 9th (Tue) to allow time to drive to Margaret River. Do some cultural sightseeing at Cape Leeuwin Lighthouse and Howard Park - Margaret River Winery and Cellar Door. Visiting Lake Cave and Dolphin & Whale Watching will get you outdoors. You'll find plenty of places to visit near Margaret River: Busselton Jetty (in Busselton), Jewel Cave (in Augusta) and Ngilgi Cave (in Yallingup). Spend the 10th (Wed) on a tasty journey with a beer tour and tasting. There's still lots to do: Head underground at Mammoth Cave. For where to stay, photos, more things to do, and more tourist information, go to the Margaret River vacation planner. You can drive from Albany to Margaret River in 4.5 hours. Alternatively, you can take a bus; or do a combination of flight and bus. Cap off your sightseeing on the 12th (Fri) early enough to go by car to Perth. Escape the urban bustle at Caversham Wildlife Park and Swan River. 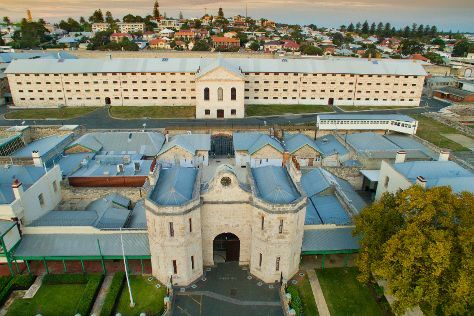 Your cultural itinerary includes sights like Fremantle Prison and Art Gallery of Western Australia. The adventure continues: steep yourself in history at The Perth Mint, pause for some serene contemplation at St John's Anglican Church, Fremantle, stroll around Kings Park & Botanic Garden, and get a sense of history and politics at Fremantle Town Hall. For photos, other places to visit, ratings, and tourist information, refer to the Perth trip planner . Traveling by car from Margaret River to Perth takes 3 hours. Alternatively, you can take a bus; or do a combination of bus and train. In July, daytime highs in Perth are 21°C, while nighttime lows are 8°C. Finish your sightseeing early on the 15th (Mon) so you can travel to Kununurra. Get in touch with nature at Ord River and Emma Gorge. Spend the 17th (Wed) exploring nature at Mirima National Park. The adventure continues: look for all kinds of wild species at El Questro Wilderness Park and take in the exciting artwork at Artlandish Aboriginal Art Gallery. To find more things to do, where to stay, ratings, and more tourist information, go to the Kununurra trip itinerary planning website . Traveling by flight from Perth to Kununurra takes 5.5 hours. Alternatively, you can drive; or take a bus. When traveling from Perth in July, plan for much warmer days in Kununurra, with highs around 36°C, while nights are somewhat warmer with lows around 16°C. Finish your sightseeing early on the 18th (Thu) so you can travel to Broome. Escape the urban bustle at Cable Beach and Dolphin & Whale Watching. Broome Historical Museum and SSJG Heritage Centre are good opportunities to explore the local culture. Spend the 20th (Sat) wandering through the wild on a nature and wildlife tour. There's more to do: explore and take pictures at Gantheaume Point and look for all kinds of wild species at Malcolm Douglas Crocodile Park and Animal Refuge. To find other places to visit, where to stay, traveler tips, and tourist information, read Broome vacation planning app . Fly from Kununurra to Broome in 1.5 hours. Alternatively, you can drive; or take a bus. July in Broome sees daily highs of 35°C and lows of 17°C at night. Cap off your sightseeing on the 21st (Sun) early enough to travel back home.